One way to get more collegiate athletes to participate in a style is to put it in front of them in a familiar format. Such was the strength of the 1st Annual University Greco Duals. Held on the campus of George Mason University, the dual meet tournament was part of a weekend long competition which saw a host of some of top East Coast college programs make the trip to Virginia. 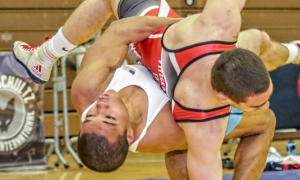 Wrestlers representing American University, George Mason University, the Naval Academy, Virginia Military Institute, William & Lee, and Columbia University participated in the event. 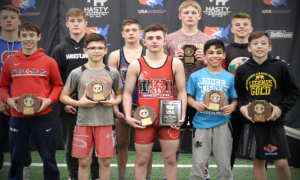 However, because the University Greco Duals was not officially sanctioned by the NCAA, the teams who took part did so through their school’s affiliated wrestling clubs (a common occurrence for any “out of season” competition). The duals weren’t just some excuse to give college wrestlers some extra off-season work. In fact, that is a short-sighted presumption, at least according to American University head coach Teague Moore, who helped put the meet together. “Our country needs more Greco development. 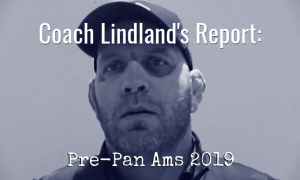 Matt Lindland is not going to build the USA back into a world power in Greco if we’re not getting our younger age groups out there on the mat to do it.” Alas, that has been a growing theme. 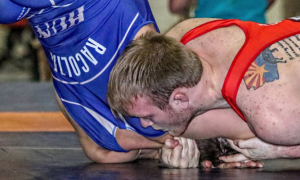 Coaches ingrained in their folkstyle ways have often been hesitant to allow their athletes to give it a shot. Moore, an NCAA Division I national champion who also enjoyed an extremely successful career in freestyle, sees it differently. Encouraging athletes to at least try Greco is the first step. It doesn’t even necessarily have to come from a full-on push in all cases. 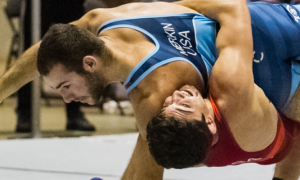 Joe Russell, head coach of George Mason and a former coach for both the University of Minnesota and the highly-successful national club Minnesota Storm, feels that it is a combination of things which make Greco Roman attractive to the college athlete. “It’s good for our guys, the skills you learn hand-fighting and stuff. But what I like to see out of my guys out there, they’re getting over those nerves, they’re getting some mat strategies down, (and) they are learning how to deal with competitive stress today.” This makes sense; in order to introduce the style to novices, tying it into aspects of wrestling they are already accustomed to instead of railing against how different it is would seem to be much more constructive. That is certainly what part of the event’s objective was intended to be. 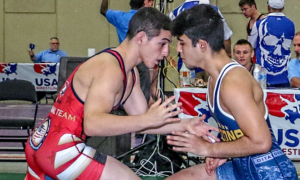 If we’re looking at the first University Greco Duals through the prism of what has been a fair amount of debate recently, then it would seem to support the stance that Greco Roman wrestling can serve more than one purpose. 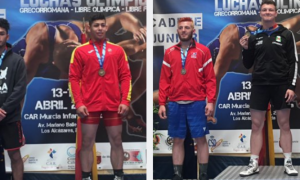 For wrestlers who have long laid fast to folkstyle and have the seen the style take its toll when they graduate but yearn to move onto international competition, it is very clear – coaches who have have experience competing and preparing athletes in the international styles want more of it. 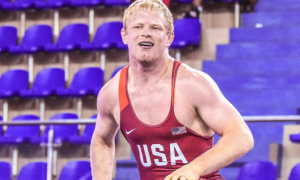 Whether they want it to make their wrestlers better at folkstyle or simply because they are supportive of athletes pursing Greco competitively on a full-time basis may be another story. But the fact remains that the positives which have been argued for by the greater Greco community for decades are acknowledged by influencers outside of the sphere. This past weekend is all the proof you need.